SUMMER BASH – Weaver Cup Champions Challenge: Chet Sterling to face Arik Royal! CWF Mid-Atlantic presents “Summer Bash” on Saturday, July 14th, at the Hargraves Community Center located at 216 N. Roberson Street in Chapel Hill, NC! Just added to this huge event… 2017 Johnny Weaver Cup Winner Chet Sterling to face 2-Time Johnny Weaver Cup Champion and the All-Star’s “Ace”, Arik Royal!! 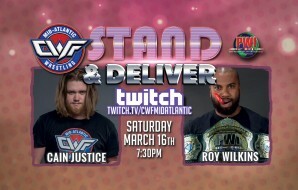 Royal is entered for this year’s Weaver Cup Tournament while Sterling is not and has still not cashed in his guaranteed title match for the Mid-Atlantic Heavyweight Title held by Trevor Lee, also a Weaver Cup Champion. Is this the “get ready” match for Sterling for challenging Trevor Lee? Or will it be Royal’s “get ready” match to claim the prestigious Weaver Cup one more time and with it another shot at Trevor Lee? Many more matches will be announced as we move closer to the live event date! 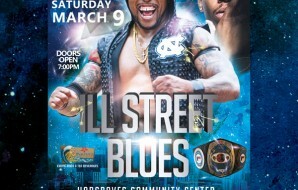 Other featured stars include newly “Double Crowned” Champion, Trevor Lee, RGL Champion Kool Jay, Mid-Atlantic Tag Team Champions “Redemption” (Michael McAllister & Nick Richards) and many more!!! 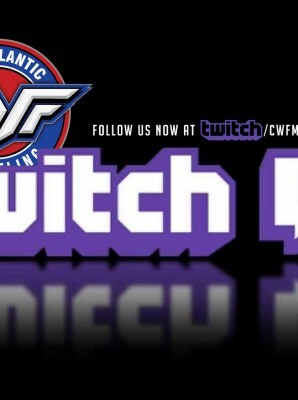 Tickets are on sale at cwftickets.com with Kids General Admission still only $5.00!!! 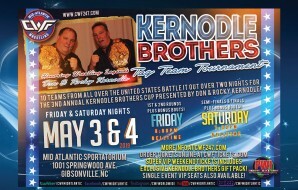 Front row and reserved ringside seats are also available now!!! Get them now to reserve the best seating!!! SUMMER BASH – RGL Title up for grabs as Kool Jay defends against The Pitbull!